Sue and Will working together?!? Or at least trying to? Now we've seen it all. Everyone listen up! Rachel has an announcement to make, as seen here during the installment "Comeback." 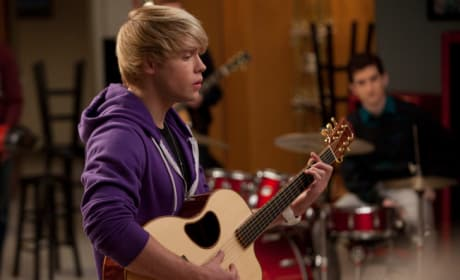 It's the Sam Evans tribute band! This character gets the idea on the episode "Comeback" and channels Justin Bieber during it. 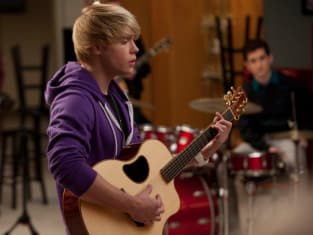 Is that Sam Evans or Justin Bieber? You're looking at a photo from the episode "Comeback." Will, you have more grease in your hair than the guy behind Wikileaks?